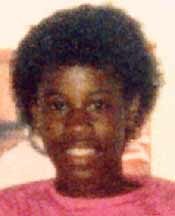 Shaunda was last seen on October 15, 1983, in Ypsilanti, Washtenaw County, MI. She has neither been seen nor heard from since. Shaunda had a history of running away, and police believe she may have left of her own accord. Posted on Wednesday, January 28th, 2009 at 5:20 pm. Last updated on Thursday, April 14th, 2011 at 5:07 pm.